Brick is often chosen for its beauty and durability, but one of the most important benefits of brick is its sustainability. Designers and builders looking for the ideal green building materials need look no further than the brick that already surrounds them. The main objectives of sustainable design are to reduce or avoid depletion of critical resources like energy, water, and raw materials; prevent environmental degradation caused by facilities and infrastructure throughout their lifecycle; and create structures that are livable, comfortable, safe, and productive. Sustainable buildings should be designed in a way that uses available resources efficiently and responsibly.The natural environmental benefits of brick coupled with sustainable practices in brickmaking result in a highly environmentally friendly product that can be used to create green “whole building” designs. 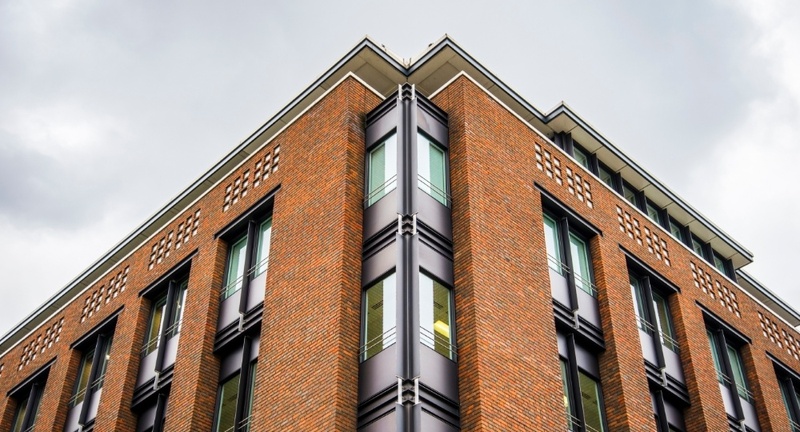 Here are some of the reasons designers and builders should incorporate more brick into their modern sustainable building designs. What Makes Brick a Sustainable Building Material? The National Institute for Standards and Technology gives brick masonry a 100 year life, even with minimal maintenance. The environmental benefits of brick are distributed throughout this long lifespan. It is made primarily from naturally abundant materials such as clay and shale, and does not release toxic indoor air pollutants like paints, varnishes, and other traditional interior wall finishes. Brick is one of the few building materials that are permitted to be reused in a building application. Salvaged bricks are in high demand today. Salvaged brick, especially sand-set pavers, can be reused when care is taken to determine material performance characteristics. Brick can include a large variety of materials in the manufacturing process, such as pre-consumer recycled content and recycled content from other industries. Mortar and grout can also include recycled materials, such as fly ash, and most steel reinforcement used in reinforced brick masonry has a high recycled content. Because of the small, modular nature of brick, on-site construction waste can be almost completely avoided through careful design and detailing. In addition, scrap brick is easily crushed and recycled for new uses, thus avoiding the landfill. Incorporation of brick masonry’s thermal mass provides numerous energy benefits, including the reduction of peak heating and cooling loads, improved thermal comfort, and potential reduction in the size of the HVAC system. Most brick is manufactured with nearly 100 percent of the materials obtained from within a few miles of the manufacturing plant. By selecting materials from regional sources, environmental impacts associated with the transport of materials can be reduced. Nearly all of the material mined for brick production is used, resulting in near zero waste of raw materials. Additionally, most plants use material from the same pit extracted through multiple soil layers for a minimum of 50 years, thus minimizing their impact to the surface area.